The GSTS130 and GSTS130L have a resort look and leather combination creating a distinctive beautiful design. These watches go great with a wide range of casual fashions. 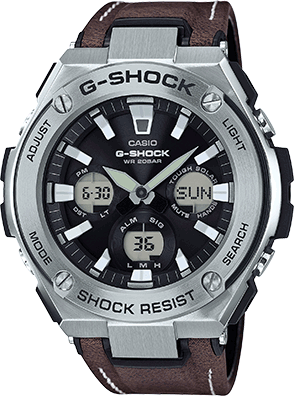 In addition to tough solar and hand shift feature, these models feature neon illuminator for the face and white backlight for the digital display providing easy reading in the dark.